Archive by Category "Darley Green Community"
Now Selling! Manor Townhomes at Darley Green! Does living just minutes from fine dining, nightlife, shopping and cultural attractions sound like a dream location? 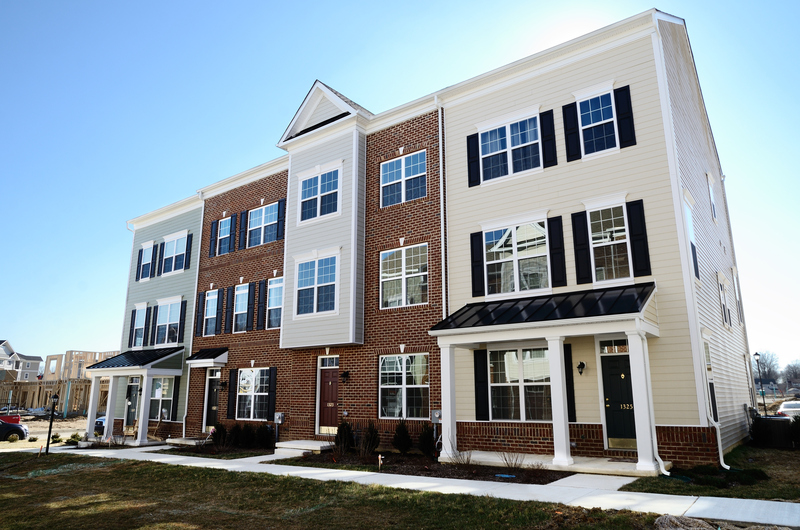 Welcome to Darley Green – a unique community of beautiful townhomes in Delaware. Located in North Wilmington, these expertly-crafted Delaware townhomes are perfect for the growing family or busy professionals looking for a low-maintenance lifestyle. Montchanin Builders is thrilled to accommodate the growing demand for luxury townhome living in this master-planned community with the addition of new Manor Townhome floorplans at Darley Green! There are three exciting new floorplans to choose from, ranging from 2,200 up to 2,500 square feet! Imagine living in a spacious, three-bedroom townhome with desirable features, all at a price point that you can afford! Starting at $289,900, you won’t find better value for a luxurious Manor Townhome with superior amenities, craftmanship and location. Built with comfort and convenience in mind, our Manor Townhomes are nestled in a peaceful, family-friendly atmosphere, with city attractions just minutes away. We invite you to browse our latest townhome offerings at Darley Green: The Monroe, The Montgomery and The Maxwell. Each of these modern floorplans features 3 bedrooms, 2.5 baths and an oversized 2-car garage – with the possibility of an additional luxury master bath! Choose the floor plan that suits your lifestyle most, and personalize the design of your cabinetry, flooring and more with many of our optional features! The beautiful townhouses for sale in Delaware are not just a wonderful place to live – they are a place you’ll be proud to call home! These thoughtful, open-concept floorplans have taken every detail into consideration, making cooking, entertaining or just relaxing with the family a joy. One of the many benefits of purchasing new construction townhome from Montchanin Builders is the ability to personalize your living space to better suit your needs. For example, you can add a recreation room, a private library, choose designer hardware, premium granite countertops, or upgrade your lighting and electrical package. As new home builders in Delaware, Montchanin is known for their beautiful customization and attention to detail. Manor Townhomes at Darley Green – Now Selling! Just 5 minutes from downtown Wilmington, Darley Green features trails for walking or jogging, a state-of-the-art library, communal gathering areas, and a neighborhood pond. Take advantage of a quiet, stress-free suburban lifestyle with city conveniences. For additional information about our new Delaware townhomes at Darley Green, give us a call or stop by any day between 11AM and 6PM. There are so many reasons why families choose to call Darley Green home. It’s a true neighborhood, where friendly people look after each other and enjoy the many amenities available in and around the community. It’s also in close proximity to lots of great restaurants in Claymont and Wilmington. If you’re looking at Delaware townhomes, the following are just a few of the must-try dining spots. Looking for a cozy option for date night? Or maybe a fantastic weekend lunch with friends? La Fia is a must. Located on historic Market Street, this cozy bistro has a creative menu that features seasonal cuisine. The chef emphasizes local ingredients, sustainably sourced. Absolutely everything is made in-house (save for the wine and craft beer). If you go for lunch, the seared tuna tataki, lamb gyro, truffle BLT, and La Fia burger are popular choices. For dinner, consider starting with the warm Medjool dates stuffed with Spanish blue cheese, and then trying the grilled Spanish octopus. Merchant Bar is a gastrobar with crave-worthy menu offerings. It’s the perfect setting for an intimate dinner, or to celebrate a special occasion with a group. Merchant Bar is known for their tasty burgers and pizza tarts, but you’ll also find excellent seafood here, like the crab pad Thai, and mussels and frites. And of course, you’ll find an impressive list of classic and original cocktails, draft beer, and wine. Craving the sunny shores of Mexico, but can’t hop on a plane just yet? Head over to Cocina Lolo instead. 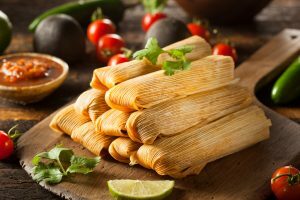 This restaurant offers “Mexican-inspired food with an urban flourish.” Pair the original cocktails, sangria, or wine with beet salad, grilled marinated red snapper, wild mushroom fajitas, or delectable pork carnitas. One of the most popular options is The Candlelight Theatre, located on Millers Road in Wilmington. Bring your family to see a main stage production. Your ticket price includes a delectable dinner or lunch. The Candlelight Theatre offers a rotating menu, which changes according to the production. They also sell Italian sodas and offer a wine list. Domaine Hudson is an elegant dining option located in the heart of downtown Wilmington, DE. It’s proud to feature an award-winning wine list. This restaurant has even been featured on The Knot as a popular destination for engagement dinners, rehearsal dinners, and wedding receptions. When you go, try the wild striped bass with candied lemon, broccolini, and saffron red pepper coulis. Or, try their three-course menu option for couples. This special includes a bottle of wine. There are many reasons why Montchanin Builders is considered one of the premier new home builders in Delaware. The beautifully-designed and artfully-crafted Darley Green community is ideally situated near Claymont and Wilmington, Delaware. It’s within the highly sought-after Brandywine School District, close to commuter routes, and within walking distance of neighborhood shops and businesses. There’s plenty to do in and around town, but you’ll also have your pick of attractions and night life along the northeast corridor. Montchanin Builders invites you to come home to Darley Green. 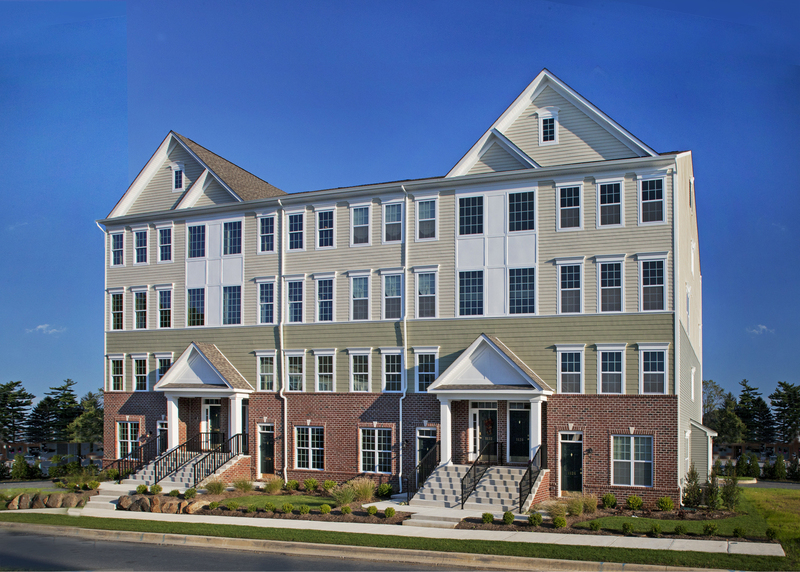 Call us today to schedule a tour of our beautiful townhomes for sale in Delaware! Buy This Move-in Ready Home in Darley Green Before It’s Sold! Homes in Darley Green are in high demand, but there are still a few move-in ready homes available for buyers in Delaware. Montchanin Builders, one of the top home builders in Delaware, is pleased to offer one perfectly located property with the popular Chesterfield floorplan: 1269 Parish Avenue. This highly sought-after home will be ready to welcome you just in time for the holidays! And with the Work Force Program, Montchanin Builders is making it easier than ever for home buyers to move into the home of their dreams. This special program offers up to $15,000* towards your closing costs. The Chesterfield model is a stacked townhome, offering three spacious bedrooms, two and a half baths, and a one car garage. With 2,500 square feet, there’s plenty of room for entertaining, and you’ll love the covered balcony. If you’re dream is a beautiful Delaware townhome, this is a must-see. The main level features a gourmet kitchen with stainless appliances, a convenient island, and an adjacent breakfast room. You’ll have plenty of kitchen storage space, thanks to the built-in pantry. The family room is situated next to the kitchen, with an open living/dining room and convenient powder room on the main living level. On the upper level, homeowners will find three bedrooms, including a master bedroom, featuring two large walk-in closets. Homeowners will enjoy the luxury master bath just steps from the Master Bedroom featuring separate shower and Whirlpool soaking tub. The laundry room is also conveniently located on the bedroom level. Darley Green isn’t just another planned development; it’s a community that embodies the true spirit of a neighborhood. The rarely available Chesterfield located at 1269 Parish Avenue directly faces dedicated green space, and it’s just a stone’s throw away from the new Claymont Public Library. Jogging trails, parks, and local shops are all within walking distance when you move to Darley Green. We’re confident you’ll fall in love with the tree-lined streets and neighborhood gathering areas. Plus, Darley Green is within the coveted Brandywine School District. If your family prefers a private school option, you’ll live within easy walking distance of the prestigious Archmere Academy. This move-in ready home on Parish Avenue is also convenient for commuters. Darley Green is a short drive away from I-495, I-95, and Route 13/Philadelphia Pike. Or if you prefer, you can use the nearby Wilmington Amtrak Station or walk to the Claymont commuter train. When it comes to townhomes for sale in Delaware, Montchanin Builders provides all the conveniences. Ready to move? Schedule your tour today! The beautiful home at 1269 Parish Avenue is priced to sell at $299,490, so schedule your personal tour today! Montchanin Builders has partnered with Supreme Lending to help home buyers find favorable terms to fit their needs. Get in touch with Robin Chase at rchase@montchaninbuilders.net for information about this move-in ready home, or give us a call at 302.655.2600 when you’re ready to take a tour. Moving to Delaware? The brand new, move-in ready stacked townhome at 1255 Parish Avenue in Darley Green is a must-see for any home buyer who values contemporary aesthetics, flawless craftsmanship, and neighborly communities. Darley Green is a much-coveted planned community near Wilmington, Delaware, and 1255 Parish Avenue is currently on the market—but not for long. Like all of the Delaware townhomes and single-family homes built by Montchanin Builders, 1255 Parish Avenue is a flawless blend of optimum function and desirable aesthetics. The Emerson floor plan, which is a stacked townhome with two bedrooms, two baths, and a one car garage. New homeowners love the open design, with an impressive great room overlooked by a loft. The gourmet kitchen is nestled back off of the great room. It’s joined by the breakfast nook, with a large pantry. Walk up the stairs to find a convenient, open loft overlooking the Great Room as well as a bedroom level laundry room. The bedrooms are located convient to the the laundry room and the hall bathroom. The master bedroom features a spacious walk-in closet and a carefully designed master bathroom, which includes dual sinks with double bowl raised vanity and oversized soaking tub with designer ceramic tile. Montchanin Builders, prestigious home builders in Delaware, pride themselves on meticulous design, right down to the last detail. You’ll fall in love with your new, gorgeous kitchen. It features spacious 42-inch birch cabinets, modern stainless steel appliances, and granite countertops. Enjoy the look of oak hardwood flooring on the main level, with soaring 17′ ceilings and an abundance of windows! Darley Green lives up to its name—with plenty of open, green space. Get to know your new neighbors as you stroll along the tree-lined streets in this walkable community. Darley Green boasts pleasant gathering areas for the neighborhood, and the nearby Claymont Public Library is nestled within park areas, jogging trails, and walking paths. Another great aspect of moving to 1255 Parish Avenue in Darley Green is the proximity to modern amenities. Commuters will love the quick access to major highways, as well as the nearby Claymont commuter train and the Wilmington Amtrak Station. Don’t want to travel? No problem! Darley Green features plenty of restaurants, shops, and other various businesses—all within walking distance. Purchase 1255 Parish Avenue before somebody else does! If you’re looking for townhomes for sale in Delaware, get in touch today, or you might miss your chance to make this gorgeous property your home. Select home sites at Darley Green are eligible for $15,000 off your purchase price, making this gem at 1255 Parish Avenue even more affordable than its original, competitive price of $244,865. Call 302-655-2600 or email rchase@montchaninbuilders.net, and be sure to ask about our special partnership with Supreme Lending. If you’ve ever dreamed of being a proud homeowner in Delaware, this may be your chance to live the American Dream! Montchanin Builders is thrilled to announce their partnership with the New Castle County Workforce Program, designed to offer affordable housing options to residents of all incomes. Through this unique program, qualified applicants can receive financial incentives on new construction homes in the family-friendly stacked condos style community of Darley Green, Montchanin’s development located in Claymont. This initiative was born out of a commitment to help local, hard-working families get the chance to buy their dream home with less financial strain and fewer out-of-pocket costs, making this tremendous milestone a realistic possibility. Eligible home buyers may also secure additional funding that can be put towards home upgrades and luxury finishes. 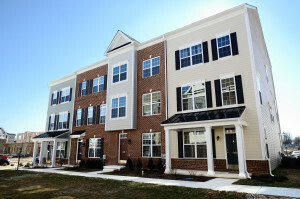 Through the Workforce Program, many of New Castle County’s professionals — from social workers and teachers to law enforcement – can take advantage of incentives up to $15,000 to be used towards a new townhome in Darley Green. Montchanin Builders has earmarked a portion of its competitively priced homes starting from the low $200’s at Darley Green exclusively for home buyers who qualify for the Workforce Program. What are people saying about this amazing partnership? “I was so surprised that I qualified for the Workforce Program. Without it, I could never have come up with a down payment or necessary funds. My family is so excited about our new home in Darley Green!” offered one homeowner who raved about the development’s great location, outdoor amenities and friendly neighbors. 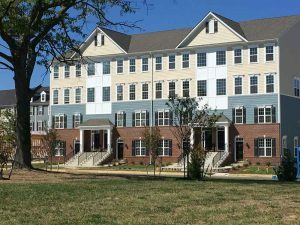 Living in an award-winning residential development in Wilmington is easier than ever, thanks to the support offered by Supreme Lending, Montchanin Builders’ preferred mortgage specialists, who provide guidance on Workforce Program eligibility and other affordable housing incentives. “The New Castle County Workforce Program continues to be one of the best programs in Delaware to help home buyers get into their dream home – and we’re here to build customers for life,” says Theresa Miglino, Senior Loan Officer at Supreme Lending. 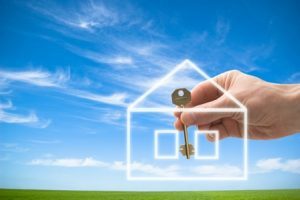 Montchanin Builders understands the intrinsic benefits of home ownership, which has positive impacts on the social and economic well-being of communities. As such, we are proud to join forces with the Workforce Program, enabling New Castle County residents the chance to live, work and play in beautiful, walkable neighborhoods which are located within the communities they serve. Darley Green is a one-of-a-kind development featuring walking trails, beautiful landscaping, retail shops and the Claymont Public Library – and it is located in the prestigious Brandywine School District. Residents appreciate the proximity to shopping, dining and public transit, but truly love the amazing craftsmanship and style of their elegant new homes. Darley Green is the future, a built-from-scratch community designed by leaders in landscaping, construction, architecture and lifestyle consulting. It is a seamless integration of an old-fashioned neighborhood surrounded by tranquility – a world where your kids run safely outside your doors – with not merely modern amenities, but the option to explore a nearby metropolis when you want to see a show, have a nice dinner or shop at the mall. The brainchild of Montchanin Builders, Darley Green is a small, amenable creation. 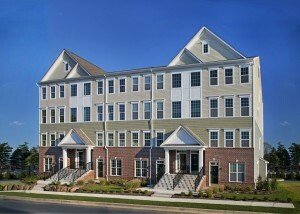 There are luxurious and modern move-in ready Delaware townhomes and condominiums. Within those walls are energy saving appliances like self-cleaning gas ranges, laminated counter tops, Mohawk stain resistant carpeting with padding, recessed lighting and more. Better yet, every residence can be tailored to a buyer’s taste and budget. Do you want oak stairs, an additional bedroom, a recreation room or loft? Would you prefer stainless plumbing features, bath with whirlpool jets or upgraded cabinets? Based on floor plans, there isn’t much that cannot be accomplished to create the home of your dreams. Located in the prestigious Brandywine school district, you’ll step outside your Darley Green home to wide, tree-lined streets. You’ll stop and enjoy the stream. There are communal gathering areas and green spaces that will constantly remind you there’s more to life than rushing somewhere. For your convenience, shops and restaurants are within walking distance. And should you want a taste of city life, you’re a hop, skip and jump from downtown Wilmington and Philly, and everything that these exciting cities have to offer. Move-in ready homes are time savers and eliminate a lot of stress for buyers. When working with Montchanin Builders, one of the top home builders in Delaware, buyers are creating a single point of contact for all the plumbing, framing, carpentry, painting and other aspects of the home. Cost and quality control is manageable as there will be a dedicated overseer for the entire process. Discover your new home in Delaware! Montchanin Builders is an all-inclusive management company. Its staff has over six decades of combined experience in land acquisition, development and construction. Darley Green clearly demonstrates their focus on the future of residential living. The exquisite craftsmanship that goes into a Montchanin home is obvious in the details. From the latest trends in modern living and efficiency to small town charm, Montchanin Builders creates affordable lodging and walk-able communities that offer flexibility and sanctuary. If you’d like to know more about Darley Green, or other townhomes for sale in Delaware in our prestigious residential communities, we invite you to call us today at 302-655-2600. Montchanin Builders has officially kicked off their Fall Decorating Contest at Darley Green, allowing residents a chance to win a $50 gift certificate at Lowe’s! With so many homes already decorated for fall at Darley Green; porches and front yards showing off their fall-inspired décor, our close-knit community is an especially welcoming place to visit during these gorgeous autumn months. Besides the spectacle of changing foliage, residents of Darley Green have so much to look forward to this fall season, with countless festivals and events that embrace the region’s rich heritage, natural attractions and amazing eats. Now is the time to show off your creative side while getting into the seasonal spirit – Thanksgiving is just around the corner! To get a SECOND entry, post your fall décor photo on your own Facebook page with the same hashtag #MBdecor. The contest ends on November 30, 2015, at which time the lucky winner will be drawn. Good luck to all! 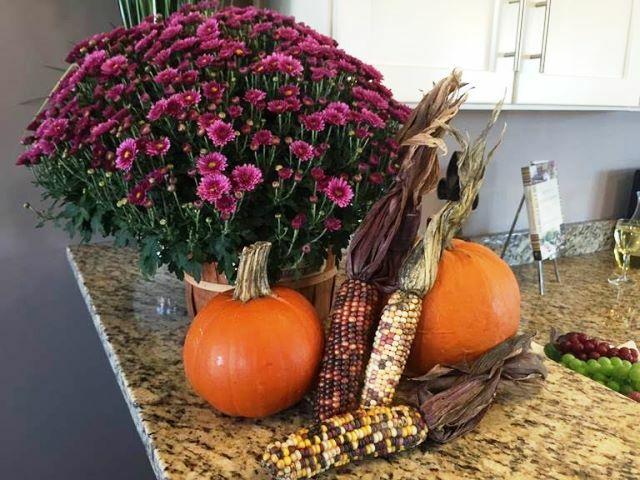 From fall foliage arrangements to pumpkin topiaries and autumnal wreaths, let’s show off our community pride and decorative prowess this fall season! Information provided by Montchanin Builders, premier new home builders in Delaware. Call us for a complete listing of townhouses for sale in Delaware. Considered the centerpiece of Delaware’s historic Claymont Renaissance District, the delightful 67 acre planned community of affordable yet luxurious townhouses and condominiums called Darley Green is the work of Montchanin Builders, one of the finest new-home builders in the Mid Atlantic region. The Montchanin team has brought together lifestyle experts, landscape planners and architects and have successfully blended the serenity and comfort of a small town with all the modern conveniences needed to meet today’s busy lifestyles. The master planned community of Darley Green includes wide tree-lined streets, a town square complete with cute little shops and restaurants, as well as a village green where neighbors and friends can gather in the evening to talk over the day’s happenings. Wonderful walking and jogging trails weave in and around the Darley Green property, and there’s even a new state of the art library. New home builders in Delaware, Montchanin Builders, made sure that families could have the best of all worlds as home owners. Designed to provide high style and livability with affordable pricing and convenience, Darley Green’s condos for sale in Delaware have attracted a broad mix of smart buyers of all ages—singles, young families with children, and retirees—who are taking advantage of Delaware’s reputation as one of the most tax friendly states in the Union—no sales tax, no estate tax, and a very low income tax rate. They’re also taking advantage of one of the best features of Darley Green—its fabulous central location. When you live at Darley Green, you are 5 minutes from I-95, 2 minutes from I-495, and just 20 minutes from the Philadelphia International Airport. Baltimore is a one hour drive and New York City is only two hours away. This prime location provides easy access to the nightlife, shopping, restaurants, and culture of Wilmington (5 minutes) and Philadelphia (20 minutes). If you prefer public transport, Darley Green is a short walk to the Claymont commuter train, and the DART bus stops on the grounds. Darley Green’s below market home prices start in the $200’s with plenty of customization options available to make these new Delaware townhomes just what their owners want. The roomy layouts—choose the plan that works best for you and your needs– can get up to 2500 square feet with three bedrooms and two full baths plus a powder room (you can add another bedroom and bath if you prefer), gourmet kitchens, roomy walk-in closets and energy efficient gas heating. You can also choose a one or two car garage. Who wouldn’t want to put all their home maintenance chores aside? At Darley Green, the residents live a virtually maintenance free existence. In autumn, you can really enjoy how beautiful the leaves look because you know you don’t have to rake them—Darley Green’s maintenance crews will do that for you. In the winter, let it snow, let it snow, let it snow! The Darley Green crew will do all the shoveling while you make snow angels with your family. Take advantage of our move-in ready condos and townhomes! Montchanin Builders is a full service residential construction and construction management company headquartered in Wilmington, Delaware with more than 60 years of combined experience. As featured in local media as well as national segments of HGTV, Darley Green is one of the most important new construction developments in Delaware, and Montchanin brings the highest level of quality construction and craftsmanship to the project. If you are looking for affordable luxury in a delightful community with a small town feel, why not take a look at the new Delaware townhomes at Darley Green? Email amaluski@montchaninbuilders.net or call 302-472-7213 to speak with a representative from Montchanin Builders to set up your tour of Darley Green.